“Our third quarter financial results were below our expectations and we are focused on initiatives to improve our performance,” Chairman and CEO Fred Smith said in a statement. Investments in innovation, infrastructure and automation will help boost earnings in the long run, he said. 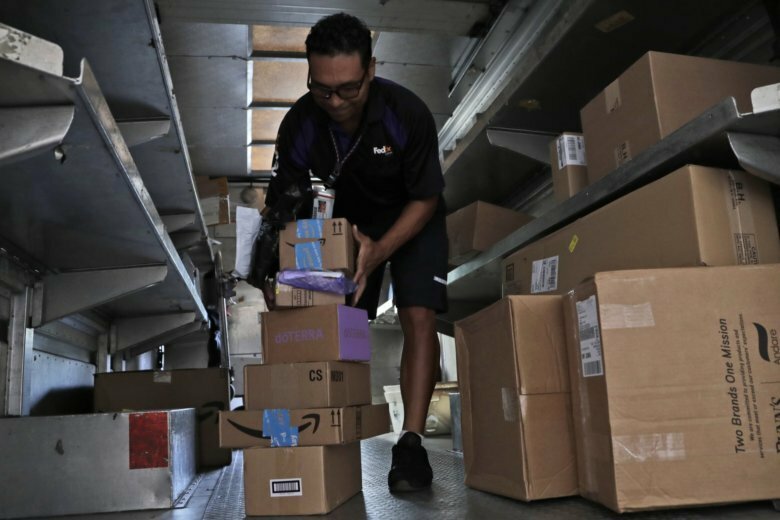 FedEx’s ground-shipping business took in 9 percent more revenue than a year earlier, but operating income fell by 6 percent due to higher costs for running six days a week year-round and buying transportation capacity. Until January, the company ran six days a week only around the peak holiday shipping season. Daniel Sherman, an analyst with Edward Jones, said the two items that stood out in the quarter were lower profit in FedEx’s ground segment and weak revenue in its key express unit due to sluggish economic conditions in Europe and changes in the mix of goods shipped in the U.S.
“It has more residential (deliveries) in it, they’re going shorter distances, and they are lighter-weight packages,” Sherman said in an interview.